Welcome To My Trip Report on Thai Air Asia from Singapore to Krabi! 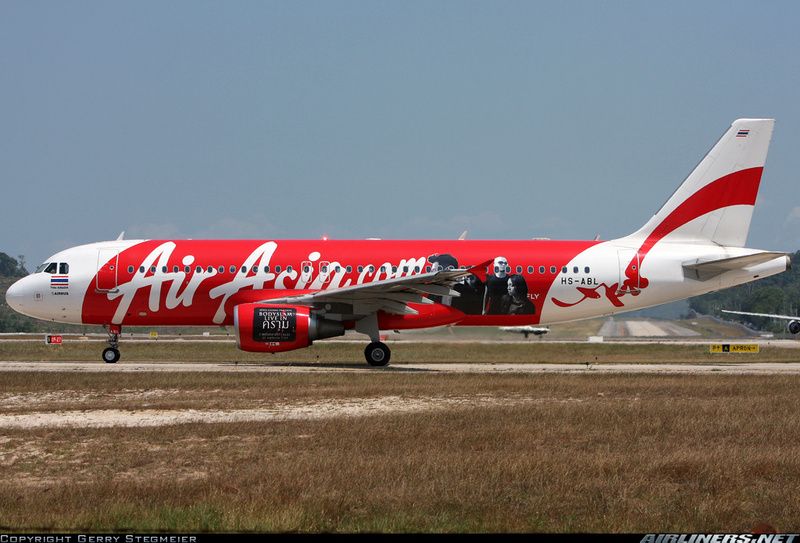 Thai Air Asia is a joint venture between Air Asia and Thailand's Asia Aviation. 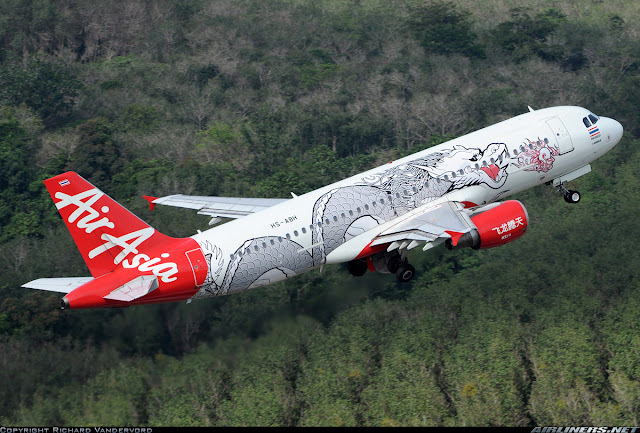 Air Asia owns 45% while Asia Aviation owns 55% of this successful venture. Domestic flights were started in February 2004 and international flights started not long after. 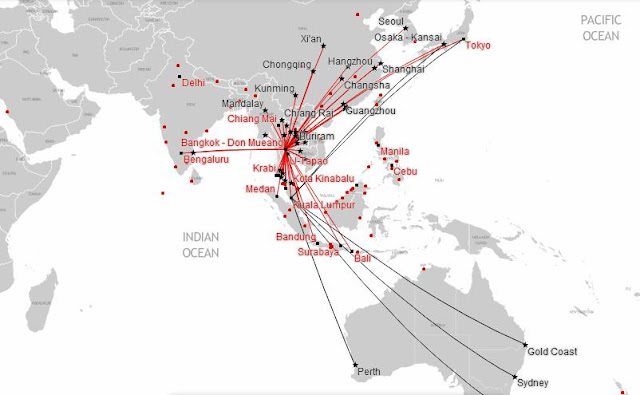 Since October 2012, this airline operates flights out of Don Mueang International Airport to various cities in Thailand and Asia. Currently, the airline operates only Airbus A320 fleet with around 45 and will take that number up to 63 in the near future. For Air Asia flights, whether its Indonesia Air Asia, Air Asia Philippines, Air Asia Malaysia or Thai Air Asia, they share the same website and that means you are allowed to check in 14 days before the departure flight. I did mine and all I had to do is to turn up at the web check-in counter to complete the procedure. I woke up quite early to get to the airport as usual to enjoy the facilities of the air side at the airport. One good thing about flying with Budget airlines in Singapore is you get to enjoy the Changi Airport's facilities, a popular airport among travellers. For Thai Air Asia, its based in Terminal 1 and if you go early, you can take the sky train at the air side to explore other terminals. Do remember to take note of the time, as you won't want to spend more to purchase a new ticket. Checking the flight history of my flight that morning, HS-ABL was scheduled to take me to Krabi. Quite a number of flights that day. 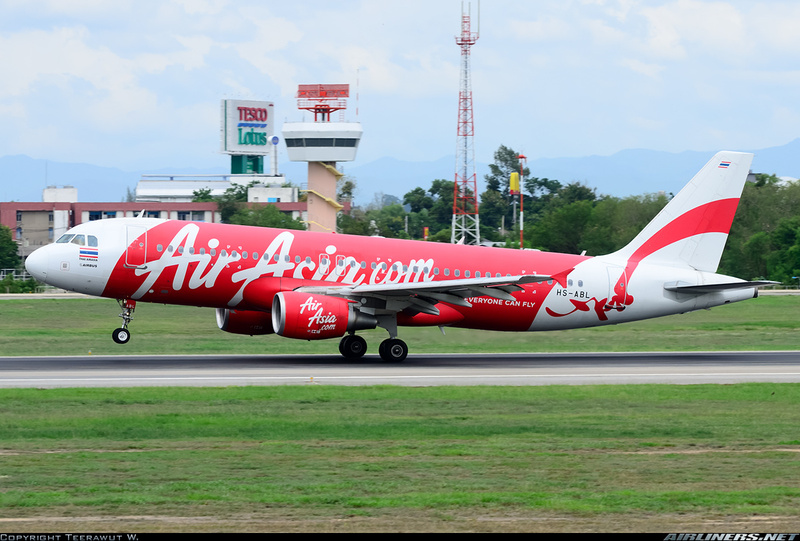 For now only Thai Air Asia and Tigerair fly to Krabi from Singapore. Fortunately for me, this machine doesn't issue the boarding pass and I can get a proper one from a counter staff. I got the proper boarding pass from the staff at the counter near the check-in machines. Once that was done, I made my way to the air side. I got myself lunch at Simple and Eats (Thai noodles bar) - never again! Its overpriced and quality is average. Kinetic rain which never fails to amaze both locals and tourists. The check-in staff in red dealt with passengers travelling without luggages. The viewing mall at Terminal 1 land side featuring Emirates Boeing 777-300ER, a popular aircraft type among the top airlines. Doesn't this make you feel like going to London? During my meal, I did a check on my inbound flight's progress and it departed on time. After hanging around near the central apron, I made my way to the departure gate. C16 is where my flight was departing from. This is one of the smallest gates in Terminal 1. It was spotted in this (below) for a short period of time. Announcements were made to board the aircraft starting with the priority passengers and passengers requiring assistance but no one was at the door to enforce the rule, so everyone including myself just headed straight for the aero-bridge. Once on board, the Thai crew welcome me on board and even bowed! Good start so far and for this flight I chose row 8A, which requires less walking from the door to my seat. Boarding was fast and soon the door was closed. Looking around me, there were vacant seats scattered around the cabin and for me? The aisle seat was vacant but my seat mate doesn't want to move there and it was only until the flight, then I realised he wanted to take photos. Here are some photos of the cabin - identical to Air Asia (Malaysia)'s cabin. You pay more for slightly better legroom space and get to be one of the first to disembark. If these seats are vacant, you can pay a fee to move to one of these seats. Is it worth paying more for the hot seats? For longer duration flights - yes. Emergency row would be the best for legroom space. This cabin crew is one of the better ones. We departed slightly late due to the long taxi from our gate to runway 02C. The flight crew didn't speak a word to us, so it was left to the cabin crew to make the announcement. Announcement was done in 3 languages (Are you reading this, Scoot?) English, Mandarin and Thai. The effort from the crew was definitely there, though they were reserved. Once in the air, it was mostly smooth except for some parts which were slightly bumpy, but nothing bad. Landing at Krabi was slightly bumpy due to the cross wind. The only thing I wished for is for the seat mate to move to the aisle seat, more legroom space for both of us. Perhaps I should follow my friend by choosing the middle seat and hoping either the aisle or window seat remain vacant. Overall, I find the cabin service to be slightly above average. Prices is reasonable - one of the reasons why I prefer flying on foreign Low Cost Carriers. The cost of the meal is much cheaper. On the same magazine also features Air Asia's souvenirs. Tasted quite good. Glad that it came along with the couple of chicken satay. Pushing back. If you are at the viewing mall at Terminal 1, you would be able to see my aircraft. Thai Air Asia 331, Clear for take off runway 02 centre! Just lifted off after passing the V1 and possibily the V2 mark. I have to try this airline in the near future, Nex Gen's Boeing 737-400 which departed for China later that day. With that my flight came to an end. I managed to snap some photos of the aircraft while waiting for the second airport bus to arrive. The cockpit - a big thank you to the flight crew. Thanks for the ride, HS-ABL! More photos of Krabi Airport in my upcoming Bangkok Airways Trip Report (KBV to BKK). It was a pleasant flight with Thai Air Asia on this short hop to Krabi, my first time flying to another city in Thailand from Singapore other than the two airports in Bangkok. From the check-in to the in-flight service, everything went to plan. Flying in good weather and enjoying my delicious meal, I can't ask for more. This is something that all travellers wish for, to have a comfortable and uneventful flight to their destination. Flying on Low Cost Carriers out of Singapore, you get to use the same terminals as the Premium carriers and air fares are cheap especially during non peak period. The other airline that flies on this same route is Tigerair so between both airlines, you can't go wrong with either. Sometimes unfortunate events may happen such as flight delay or cancellation, that would be the biggest tests for these airlines as they have to do their best to recover their service. To play safe when flying with these carriers especially for routes with limited flights, get yourself a travel insurance.